How Does It Affect Teens? Social media sites are extremely popular, especially among today’s youth. While Facebook, Twitter, Instagram, and Snapchat help teens express themselves and stay connected with others, they may also have a negative impact on self-esteem and overall wellbeing. One particular concern is the fear of missing out, or FOMO. Teens who experience FOMO may feel pressured to experiment with drugs and alcohol to keep up with friends or celebrities they follow on social media. 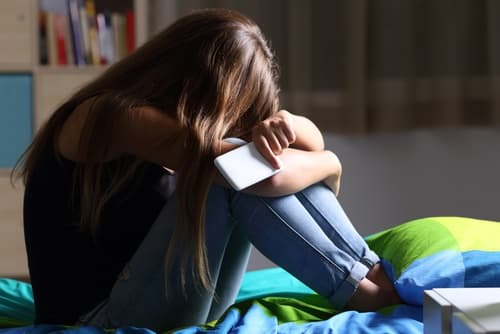 They may also experience lower overall life satisfaction than other teens, making them vulnerable to depression and other mental health concerns. Fortunately, there are steps parents can take to help prevent their children from experiencing FOMO and help them through periods of dissatisfaction and FOMO without turning to substance abuse. FOMO is when someone worries they are missing out on exciting events or rewarding activities that they could be enjoying.1 Social media can contribute to this feeling by showing users an endless feed of exotic vacation destinations, celebrities with lavish lifestyles, and acquaintances who present a carefully curated version of their best self. Social media sites allow you to create a profile and choose how you portray yourself and your life to others. Many people choose to only share photos when they’re out with friends, traveling, or participating in some other significant event. Rarely do people choose to share about difficult times or personal problems. Teens with FOMO may also turn to drug and alcohol use as a way of not missing out on the activities they see on social media. Perhaps they have friends who post photos from parties where drugs and alcohol are available, or they may follow celebrities who are photographed drinking or using drugs. This can encourage adolescents to engage in similar behaviors. Doing impulsive things that were later regretted. Not being able to remember large periods of the night. The anxiety associated with FOMO and substance use among teenagers are clearly linked and can have significant impacts on young people. However, there are ways you can help. Set Limits: Because FOMO is associated with checking social media sites more often, it may be beneficial to limit the amount of time your child spends using such sites. Establish Boundaries: Setting boundaries is another important tool that can help your teen. Monitoring your child’s social media accounts, within reason, may allow you to decide which profiles are safe for your child to see and which ones may be influencing your teen in a harmful way, such as those that promote drug use. Communicate: Effectively communicating with your child is crucial. This includes having open and honest conversations about concerns regarding social media use and the potential consequences. It is especially important to communicate when setting boundaries so that your child is able to better understand why you might be limiting their social media use or restricting their access to certain profiles. 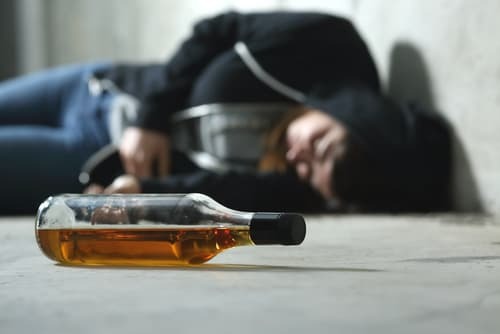 If you believe that your child is already using alcohol or other substances, there are several ways you can help. Effective communication is important during this time as well, such as discussing your concerns regarding their use in an open, honest, and calm manner. Education: Research facts about drug use so that you can educate your child about the possible risks and dangers. Assessment: Have your child assessed by a professional who specializes in substance use, such as a licensed alcohol and drug counselor. They can help determine if a substance use disorder is present, and if so, how severe. They can also make recommendations for treatment. Treatment: If treatment is necessary, it is important for your child to follow through with all aspects of treatment. Depending on what they are using and how severe their substance use is, they may need to go through a medically monitored detox process. They may also need to attend inpatient/residential treatment or outpatient treatment, see an individual therapist, take medications prescribed by a psychiatrist, engage in family therapy, and/or attend support groups. Support: It is important for parents to provide support throughout their child’s recovery, while keeping in mind the importance of healthy boundaries. As a parent, you have plenty to worry about. Considering your child’s social media use and how they’re being influenced by the messages they receive from others on the internet can be overwhelming and scary. However, it is important to remember that not all social media use is bad. 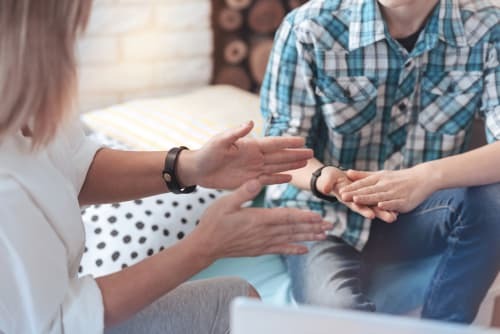 In fact, it can help teens communicate with close friends, express themselves in healthy ways, and help them stay connected. Social media can be used to form online study groups where students can learn and prepare for exams together from the comfort of their homes. The quality and quantity of social media messaging are important considerations when determining if your teen is at risk of substance use due to FOMO and related factors. By practicing effective communication skills, setting healthy limits and boundaries, and offering support, you can help safely guide your child through the world of social media. Przybylski, A., Murayama, K., DeHaan, C., et. al. (2013). Motivational, Emotional, and Behavioral Correlates of Fear of Missing Out. Computers in Human Behavior, 29, 1841–1848. Vogel, E., Rose, J., Roberts, L., et. al. (2014). Social Comparison, Social Media, and Self-Esteem. Psychology of Popular Media Culture, 3(4), 206–222. Kross, E., Verduyn, P., Demiralp, E., et. al. (2013). Facebook Use Predicts Declines in Subjective Well-Being in Young Adults. PLOS ONE 8(8). Khajehdaluee, M., Zavar, A., Alidoust, M., et. al. (2013). 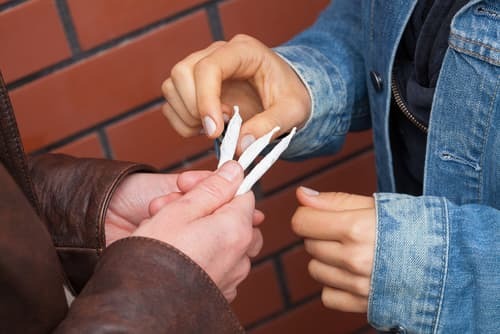 The Relation of Self-Esteem and Illegal Drug Usage in High School Students. Iran Red Crescent Medical Journal, 15(11), e7682. Johnston, L., O’Malley, P., Miech, R., et. al. (2016). Monitoring the Future: National Survey Results on Drug Use: 2016 Overview: Key Findings on Adolescent Drug Use. Ann Arbor: Institute for Social Research, The University of Michigan. Riordan, B., Flett, J., Hunter, J., et. al. (2015). Fear of Missing Out (FoMO): The Relationship Between FoMO, Alcohol Use, and Alcohol-Related Consequences in College Students. Annals of Neuroscience and Psychology, 2(7), 1–7.